Double-sided printed T-Shirt with picture of a video camera on the chest left, text on the center back. Printed white on heavy premium quality black shirt. 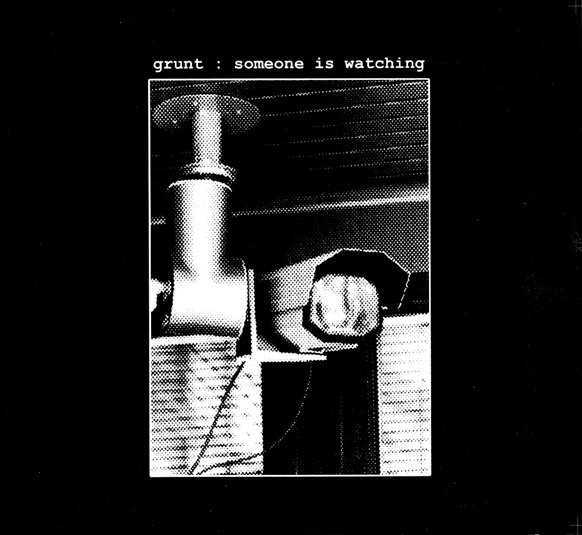 Available L.
Double-sided printed T-Shirt with picture of a video camera on the chest left, text on the center back : GRUNT - SOUND OF DISSENT : ACCEPT THE CONTROL FROM YOUR POTENTIAL ENEMY, TRUST IN THE GOOD WILL OF THOSE IN CHARGE. Printed white on heavy premium quality black shirt. Available S.